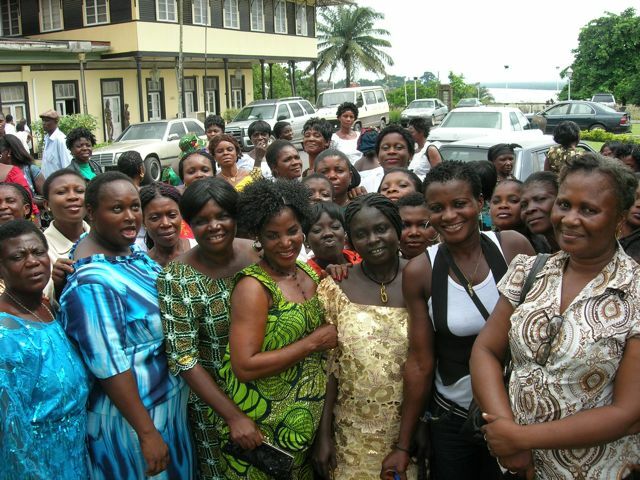 In June 2010, participants of One Sky's Leading From Within inaugerated the African Integral Development Network in Nigeria, and a women's rights advocate, Awuken Obaji, organized an empowerment gathering for women from surrounding villages. These are two of many leadership stories that are emerging from the Leading From Within project. See photos here, and go to Meet the Leaders for more specific details of the leaders' visions for a sustainable Africa. Women from surrounding villages in southern Cross River State travel to Calabar for a women's empowerment event lead by One Sky participant, Awuken Obaji as part of her individual Breakthrough Initiative. 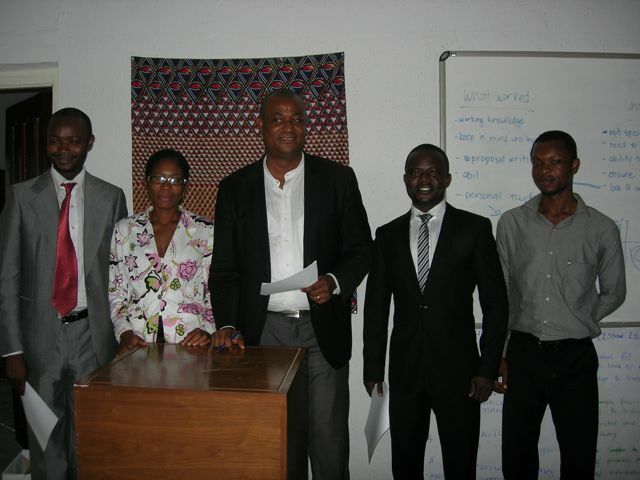 Executive team of the African Integral Development Network. The vision of AIDEN to create a resiient network of practitioners involved in transformative change in Nigeria for greater sustainability and human wellbeing.